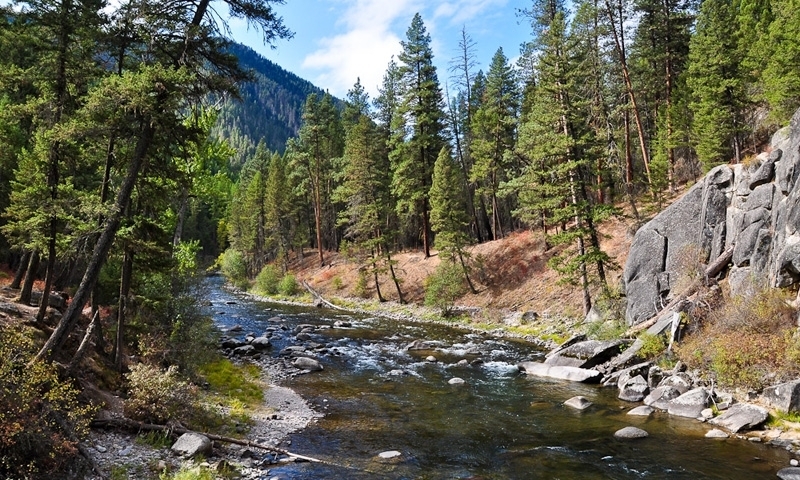 Known for its excellent trout waters, Rock Creek is also a perfect place to recreate with trails, campgrounds and wildlife viewing areas located throughout the breathtaking canyon, just 22 miles east of Missoula. Fly fishing experts will teach you everything you need to know about how to land the big one. 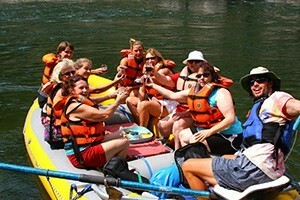 Guiding on all popular rivers around Missoula. 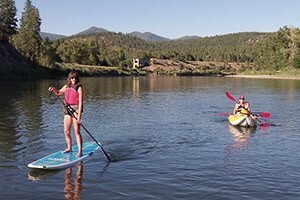 Guided flyfishing adventures on the crisp waters of the Smith River or Clark Fork River! Montana Flyfishing Connection offers fun and expertise for all flyfishing enthusiasts. 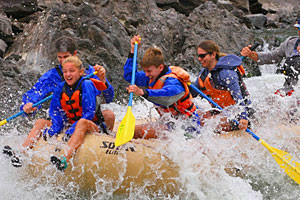 Day trips and overnighters on the best rivers in Montana. Learn to fly fish with one of our guides. Best guides in the valley. Rock Creek is famous for its excellent trout fishing waters. See big horn sheep, elk, deer and other big game species in Rock Creek Canyon. Camp, hike, and enjoy other recreational activities. Rock Creek is located in Lolo National Forest, 22 miles east of Missoula. Take exit 126 off I-90. Montana’s Rock Creek runs through Lolo National Forest just 22 miles east of Missoula. Known as a blue-ribbon fly fishing destination, Rock Creek is also a superb place to recreate featuring campgrounds, hiking trails, and hunting areas interspersed throughout its dramatic canyon. 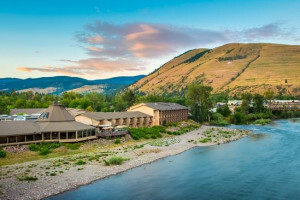 To reach Rock Creek from Missoula, travel 22 miles east on I-90 before taking exit 126. Turn right onto Rock Creek Road. The road follows the creek south for 30 miles in between I-90 and the confluence of the East and West forks, near Phillipsburg, MT. Several fishing pull-outs, campsites, and trailheads are located along the road. The drive through the canyon is slow due to narrow and bumpy conditions (especially after mile marker 15) and wildlife crossings. Winter weather may also dictate accessibility. Rock Creek is one of Montana’s premiere trout fishing rivers, full of rainbows, cutthroat, ad browns. Expect fast water with plenty of riffles, pools, undercut banks and lots of structure. Throughout June and into July, Rock Creek is busy with fly fisherman enjoying the Salmon Fly hatch. The season runs from the third Saturday in May through November 30 (closed to boats from July 1 – November 30). Popular fishing areas include stretches near Norton Campground, Hogback Homestead, Valley of the Moon Nature Trail, and many others. Plenty of guides and outfitters are also located in the area. A half dozen designated campgrounds are located in the Rock Creek area of Lolo National Forest. Many are situated along Rock Creek providing great fishing access as well as close proximity to hiking trails. Camping fees average around $6 per night; charged from May through September. Check with Lolo National Forest for dispersed and group camping locations and information. Welcome Creek Wilderness is located along the Rock Creek drainage. Hike through heavily timbered areas full of pine and fir trees. Take the Welcome Creek Trail for a rigorous 7-mile hike. Other day hike areas include Hogback Homestead and Morgan-Case Homestead. A drive through the Rock Creek Canyon provides sensational views of the steep cliff faces, grassy meadows, forests, and stunning views of the creek. Many species of wildlife including big horn sheep, elk, bears, cats and other big game animals can be seen along the drive through the canyon. Try the 2. 5-mile Babcock Mountain Trail for a chance to spot deer and big horn sheep. Keep your eyes peeled for big horn sheep near mile makers 5 – 8 as well. Every summer, Rock Creek Lodge hosts the annual Testicle Festival or “Testy Festy.” Here’s your opportunity to sample Rocky Mountain Oysters and enjoy music and other entertainment. The lodge and gift shop is open year-round, located just off I-90 at exit 126.